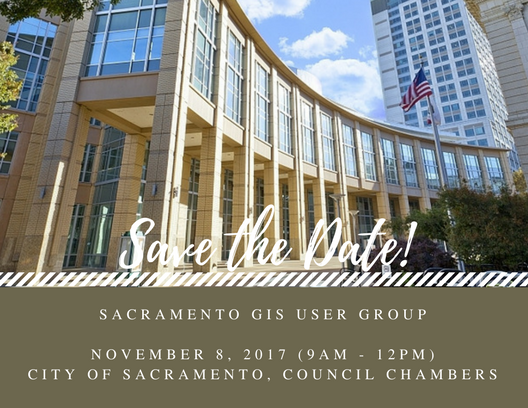 A big thank you to our presenters at the November 8th Sacramento GIS User Group meeting and to the City of Sacramento for hosting our event in their council chambers. We are planning the next meeting in the spring. Once a date is selected, we will announce it on the blog and meetup.